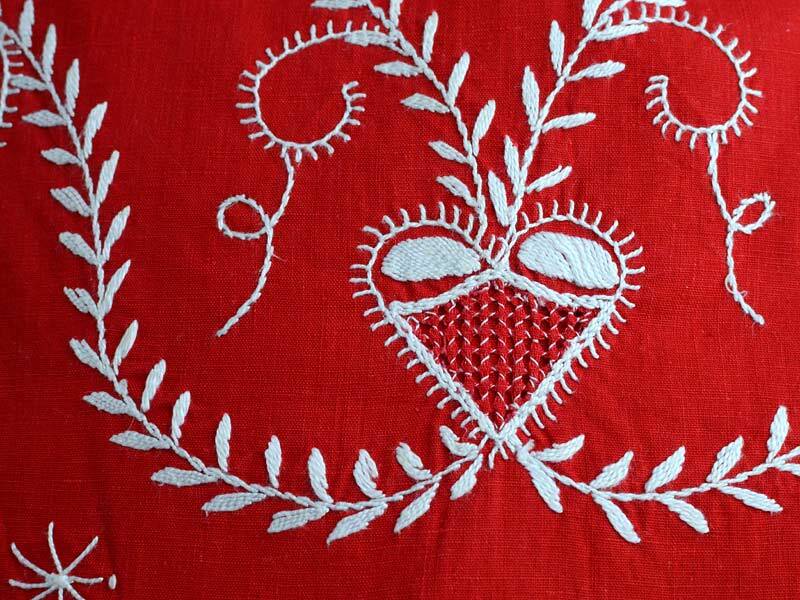 Front panel of apron, oval shape, depth approximately 15"
As in other countries, different regions in Portugal have distinctive embroidery designs and techniques. In the district of Viano do Castelo, the historic peasant costume consists of colorful shawls, blouses, skirts and aprons, textured knit stockings, filigree jewellery and a recognizable style in embroidered patterns. 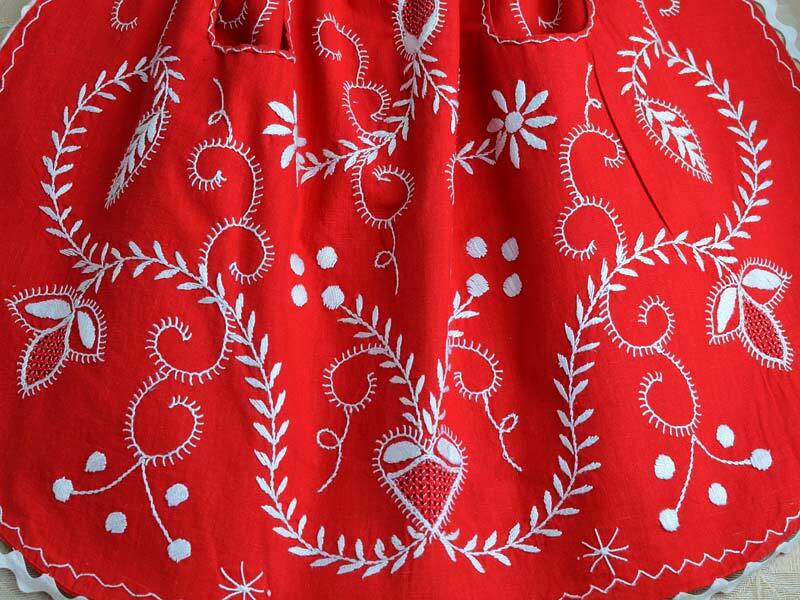 The white stitching on a red fabric shows up strikingly in this detail of a traditional apron design. I wish I could tell the scale of this, suspect it is quite fine? Handwork amazes me. The embroidery is worked with perle cotton on cotton broadcloth, if that helps with scale. The photo shows a section approximately 4" x 6". I've added to the post a photo of the front panel showing most of the embroidered design - it really is a remarkable piece of work. Thank you! Artistry of sewing... looks a bit like a filigree jewelry design, too.